F&D Commercial Flooring sources the most innovative, high-quality, popular flooring products directly from over 200 vendors in 20 countries. 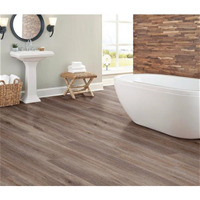 We offer a large selection of natural stone, tile, wood, laminate, luxury vinyl tile (LVT), luxury vinyl plank (LVP), as well as decorative and installation products. Unlike other commercial providers, we have, or can source, any product specification you require. 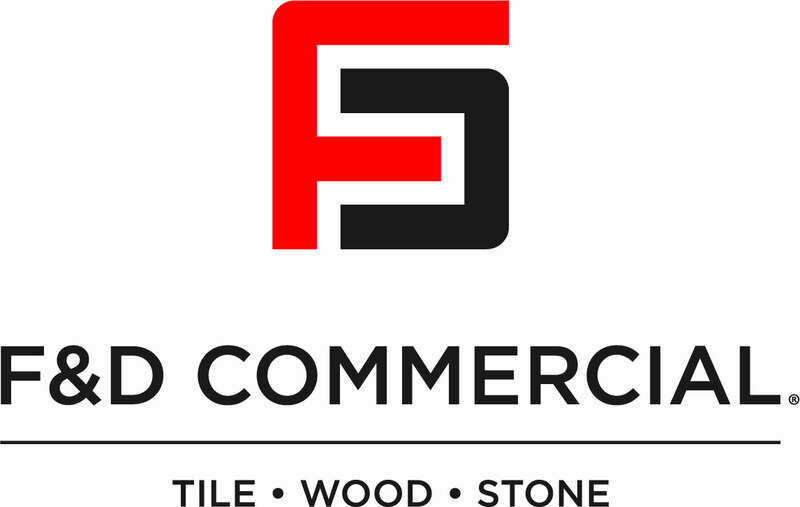 F&D Commercial is backed by Floor & Decor, a leading specialty retailer in the hard surface flooring market, bringing the same incredible selection and low prices to the commercial sector, along with the advantage of a national distribution footprint and over 100 warehouse showrooms across the U.S. The durability and beauty of stranded bamboo flooring that’s water-resistant. Introducing AquaGuard Water Resistant Bamboo, our newest most innovative bamboo flooring. Water-resistant bamboo is great for the heavy traffic areas. Kid-friendly, pet-friendly, and eco-friendly, bamboo flooring is unique, durable, and affordable. This responsibly sourced bamboo flooring comes from natural materials that are renewable and sustainable. And now that it’s water resistant, it can be used in any room. 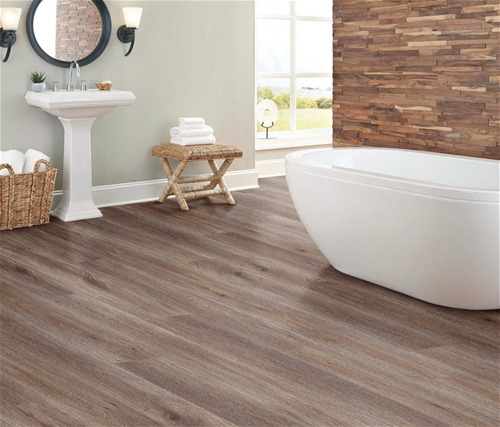 New and exclusive to F&D Commercial, AquaGuard ® is a water-resistant laminate that looks and feels like authentic hardwood. There’s now a laminate option for every room — including full bathrooms. 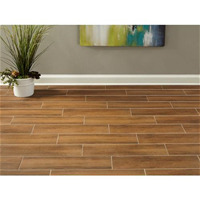 AquaGuard is the next generation of laminate flooring, and can be used in heavy-wear commercial applications. It can also be installed in an area 4x the size of traditional laminates without the need for transitions. Floors come with a 15-year commercial warranty. Our CustomSpec Floors program is a quick four-step process that lets you design every aspect of your own flooring. 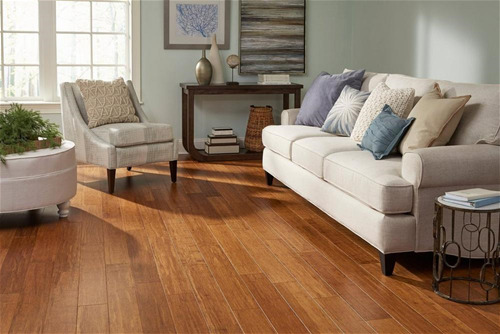 We offer a collection of exclusive flooring options for you to choose from. Simply pick from a wide variety of colors and finishes. 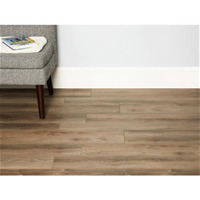 Then choose a vinyl composition, pick a method of installation, and the right level of durability for your flooring needs. 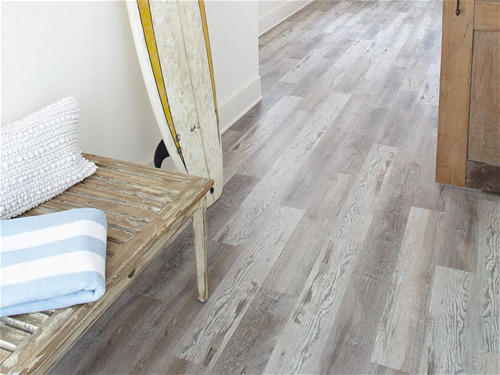 Features and benefits from each available composition can suit a variety of flooring needs. The Premium Waterproof Core with Built-In Cork Back Flooring is 100% waterproof and naturally resistant to mold and mildew. 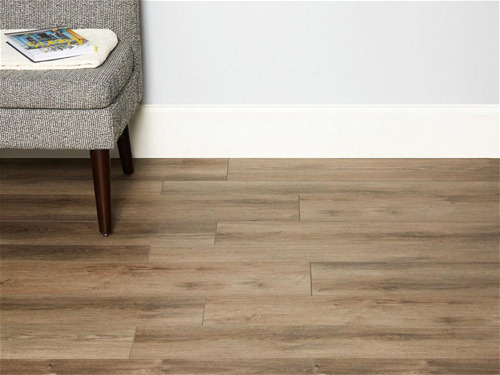 It’s quick and easy to install over existing or slightly irregular subfloors, and it comes without telegraphing concerns. It has hypoallergenic natural cork underlayment for noise resistance, and acclamation before installation is not necessary. The Rigid Stone and Vinyl Based Core Flooring with Built-In Foam Back Flooring is 100% waterproof and comes with a built-in antimicrobial IXPE foam underlayment with a sound barrier. It is also dent and scratch resistant, making it suitable for the high-traffic areas. 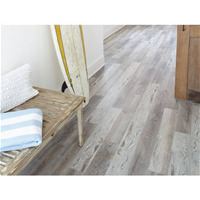 Luxury Vinyl Plank and Tile Flooring is available in water-resistant and waterproof options with underlayment available, and it can put down with glue-down installation. NEW and exclusive to F&D Commercial, DuraLux is perfect for heavy traffic areas, and has a durable rigid stone-based core that ensures your floor is dent and scratch resistant. 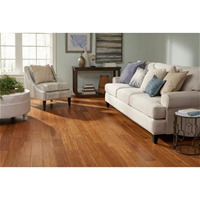 DuraLux looks and feels like real hardwood, but is waterproof and easy to maintain. DuraLux can be installed in any room, with no glue or special tools needed. DuraLux is ready to install right out of the box, even over most existing floors. 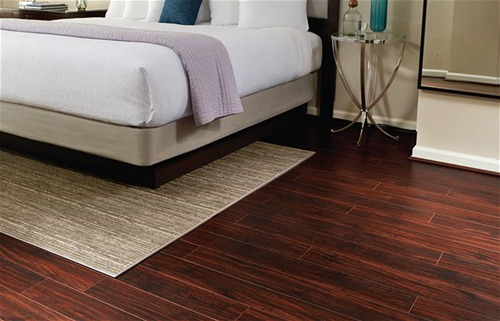 A built-in premium sound reducing anti-microbial underlayment makes for a quieter floor. 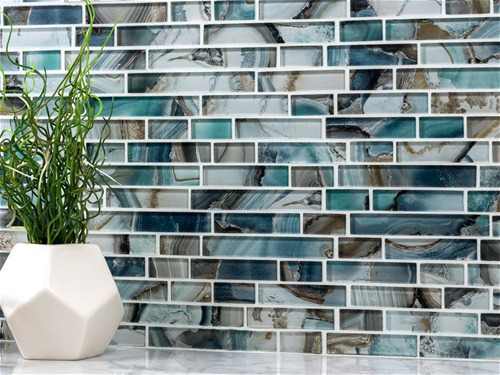 Glass decoratives let you incorporate a splash of color and texture to any space in need of a stylish touch. 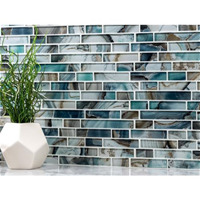 Choose from a wide range of styles and colors, from jewel-toned mosaic tile to blended glass colors that let you creatively enhance your project’s rooms. Artists and architects use marble to make a statement that will last an eternity. 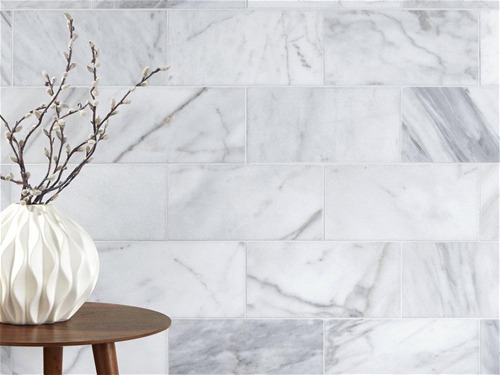 Give your project a timeless and elegant appeal with marble. With many styles to choose from, you’ll appreciate it's versatility and uniqueness. 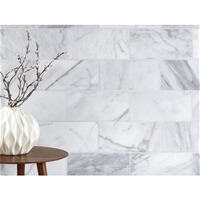 Marble adds a refined elegance to interior spaces and provides endless design possibilities. 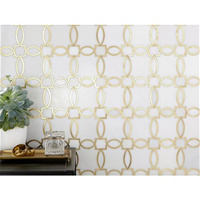 It is also easy to clean, making it a practical and attractive addition to almost any room. 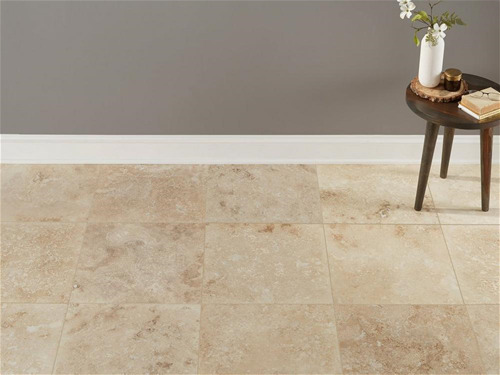 Stone flooring adds natural beauty and timeless elegance. It comes from the earth, making each tile unique, with its own natural variations. 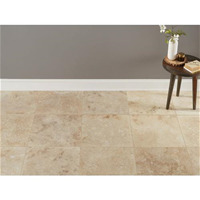 Natural stone is an excellent choice for luxury and durability. You’ll find our prices on stone flooring to be incredibly affordable. We have a wide selection of stone, including travertine, marble, granite and slate. Exclusive to F&D Commercial, NuCore® is 100% waterproof flooring. It looks and feels like wood, but NuCore can be installed where real wood cannot. With no acclimation time needed, it comes ready to install, right out of the box, and can be installed over most existing floors. It’s also one of our easiest floors to install, and has a simple drop lock installation. Options are available with an attached cork underlayment for a quieter, warmer floor that is naturally resistant to odor causing mold and mildew. 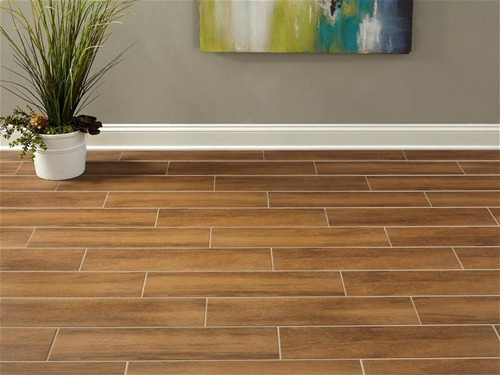 If you want the wood grain look with the durability of ceramic or porcelain, you’ll find a perfect choice among our wood look tile selection. Wood’s attractive appearance remains popular, and can be enjoyed with easier maintenance and greater durability with these tiles. The rich colors work for both floor and wall applications. Create elegant, striking style with fine details and unique shapes with our marble waterjet collection. 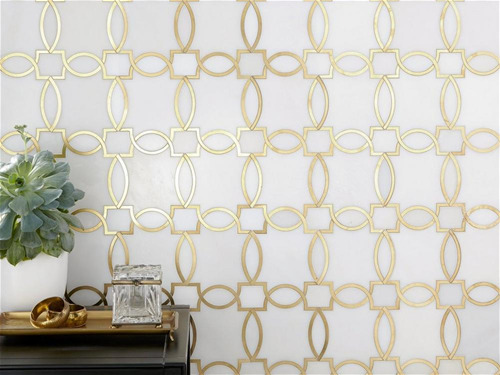 Intricately cut tile made of gorgeous marble is produced with leading-edge waterjet technology, creating beautiful, affordable designs.